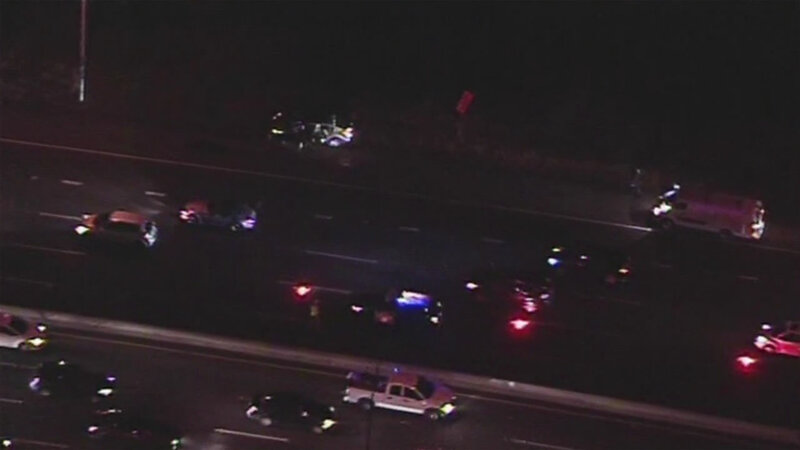 SAN PABLO, Calif. (KGO) -- San Pablo police officers have shut down two lanes of westbound Interstate 80 in San Pablo near San Pablo Dam Road after a person was reportedly shot inside a car. Sky7 HD was overhead and captured officers surrounding the vehicle. Police reecived a report of the shooting at around 4 p.m. The two left lanes are closed so they can search for evidence along the highway. The victim was transported to a John Muir Medical Center and is in stable but critical condition. Police say they believe someone in another car opened fire and then sped away. Police have not found the other car.